Scott Brooksby recently co-authored the article, “What Can Be Done About Pilot Depression, Suicide, and Other Flight Crew Mental Health Issues?” in a newsletter published by the American Bar Association, Mass Torts Litigation Section on November 9, 2017.
the problem, let alone getting pilots the help they need. This article explores these pressing issues and whether it is realistic to think that merely asking a pilot during a flight physical how he or she feels, or how is the family, or whether any issues are troubling you, etc., will trigger a response that will reveal a mental deficiency. The Danger of Bird and Animal Strikes in Aviation: What Can Be Done? Scott Brooksby’s article, “The Danger of Bird and Animal Strikes in Aviation: What Can Be Done?” was featured in the October edition of the International Air and Transportation Safety Bar Association’s Air & Transportation Law Reporter. Bird strikes pose an increasing danger to commercial, military and general aviation and have resulted in hundreds of deaths and serious injuries to passengers and crew, and hundreds of millions of dollars in damage to aircraft. Bird strikes are the second leading cause of death in aviation accidents. Scott’s article explores what can be done to help alleviate and address these dangers. Scott Brooksby will be a featured speaker at a prominent aviation conference in Baltimore, Maryland. Scott Brooksby will be a featured speaker at the Aviation Insurance Claims Conference (AViCON) held in Baltimore, Maryland on September 14-15, 2017. AViCON is an annual conference focused on aviation industry accident investigation, and conflict and claim resolution. This unique, two day format centers around a fictional case study and features discussions lead by legal and insurance experts. Together, the group will explore considerations and complexities of the case from accident investigation, legal discovery, multi-party litigation, and resolution. This conference is designed for professionals involved in aviation insurance, including underwriters, claims managers, lawyers, risk managers, insurance brokers, airline flight safety directors, airline board members with flight safety responsibility, claims investigators, and aircraft product manufacturers. AViCON case studies are set within an environment that includes many possible choices of forum and law. The accident scenario is presented with state-of-the-art interactive animation prepared by RTI’s Imaging Sciences Studios, and highlights a fresh set of issues of current concern and debate within the aviation market. This event presents a unique opportunity to gain a fuller understanding of the entire range of complexities involved in aviation safety, in a concise and effective format. The Oregon Aviation Industries Board of Directors voted unanimously on August 26, 2016, to approve Scott Brooksby’s nomination to serve on the Oregon Aviation Industries Board of Directors. Scott’s aviation law knowledge includes pilot mental conditions that may lead to accidents. He will be speaking on this subject at the Columbia Aviation Association, www.caapilots.com, on Thursday September 1, 2016, with a focus on Germanwings Flight 9525 that impacted a mountain in March 2015. 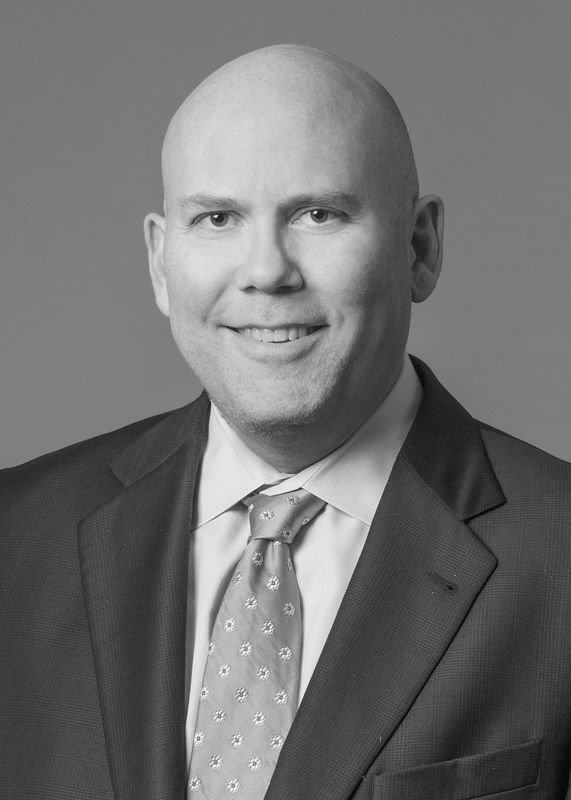 Scott’s many years of experience in aviation litigation, his industry connections and his wide range of talents will be a huge asset to ORAVI. ORAVI is comprised of 400+ companies in aviation and related businesses. These include aircraft and part manufacturers, flying services, heavy lift helicopter services, unmanned aerial vehicle systems, airports, maintenance and suppliers to these industries. The Columbia Aviation Association, where Scott is speaking on September 1, is located at the Aurora State, Oregon Airport (UAO). CAA was founded in 1949 as a private organization devoted to flying. After being located at the Portland International Airport (PDX) for forty five years, members completed the beautiful new Aurora clubhouse in 1996. Membership is by invitation only and requirements include possession of a private pilots certificate. Most of the club’s 260 members have advanced ratings and are aircraft owners who fly on a regular basis for business and pleasure. Pilot mental fitness is a critical aspect of aviation safety. As Jet Blue Founder and former CEO David Neeleman recently suggested, “nobody ever thought about having to protect the passengers from the pilots”. In the wake of the tragic circumstances surrounding Germanwings 9525 and MH370, the FAA chartered the Pilot Mental Fitness Aviation Rulemaking Committee, which released its report in November, 2015. But mental health issues are complex, and no system of detection, voluntary, or outside reporting is perfect. Scott will discuss the circumstances in Germanwings 9525 and other notable incidents, which have spiked in the last two decades. Scott will discuss the findings and recommendations in the FAA ARC final report. He will also explore the issues surrounding the current system of pilot mental health from the perspective of the flying public, the airlines, the regulators, and pilots. Hot topics in aviation litigation include birds, pets, lasers, and stowaways. Each pose the danger of catastrophic mass torts. Bird and animal strikes pose an increasing danger to commercial, military and general aviation. Strikes result in death and serious injury to passengers and crew, and soaring costs for aircraft damage. Bird strikes are the second leading cause of death in aviation accidents. According to Boeing, the first bird strike was recorded by the Wright Brothers in 1905. The greatest loss of life directly linked to a bird strike occurred on October 4, 1960, when a Lockheed L-188 flying as Eastern Air Lines Flight 375, flew through a flock of common starlings during take-off from Logan Airport, damaging all four engines. The plane crashed into Boston harbor killing 62 of the 72 passengers on board. http://www.boeing.com/commercial/aeromagazine/articles/2011_q3/4/. (Last visited 4/19/16). United Airlines Flight 297. On November 23, 1962, a Vickers Viscount 745D crashed near Columbia, Maryland after striking a flock of whistling swans while cruising at 6,000 feet. The impact caused the horizontal stabilizer to separate, leading to loss of control. All seventeen people on board were killed. Ethiopian Airlines Flight 604. On September 15, 1988, a Boeing 737-200 ingested a flock of speckled pigeons as it took off from Bahir Dar, Ethiopia. Both engines failed immediately, and the ensuing belly landing caused a fire that killed 35 passengers. Leadair UniJet. On January 20, 1995, a Dassault Falcon 20 sucked lapwings into the No. 1 engine on takeoff, which caused an uncontrolled engine failure and a fire in the airplane’s fuselage; all 10 people on board were killed. S. Air Force Boeing E-3. On September 22, 1995 the AWACS aircraft crashed shortly after takeoff from Elmendorf AFB. The aircraft lost power in both port side engines after the engines ingested several Canada geese during takeoff. The geese had been disturbed during the takeoff of a Hercules transport moments earlier. After reaching 250 feet, the plane crashed about two miles from the runway, killing all 24 crew members on board. Ryanair Flight 4102. On November 10, 2008 a Boeing 737-8AS on final approach to Rome Ciampino Airport sustained 90 bird strikes, all from starlings. After one engine was damaged, and the other engine ingested birds, the crew managed an emergency landing. There were 10 injuries. The plane, which was only eight months old, was a total loss. US Airways Flight 1549. On January 15, 2009 an Airbus A320-214 lost power in both engines after multiple strikes with Canada geese shortly after takeoff from LaGuardia Airport. About three minutes after the loss of all power, the flight crew conducted a water landing on the Hudson River. 150 passengers and five crew members sustained a total of 95 minor and five serious injuries. PHI Inc., Charter. On January 4, 2009, a Sikorsky S-76C crashed into marshland about seven minutes after takeoff near Amelie, Louisiana, killing two pilots and six of the seven passengers. 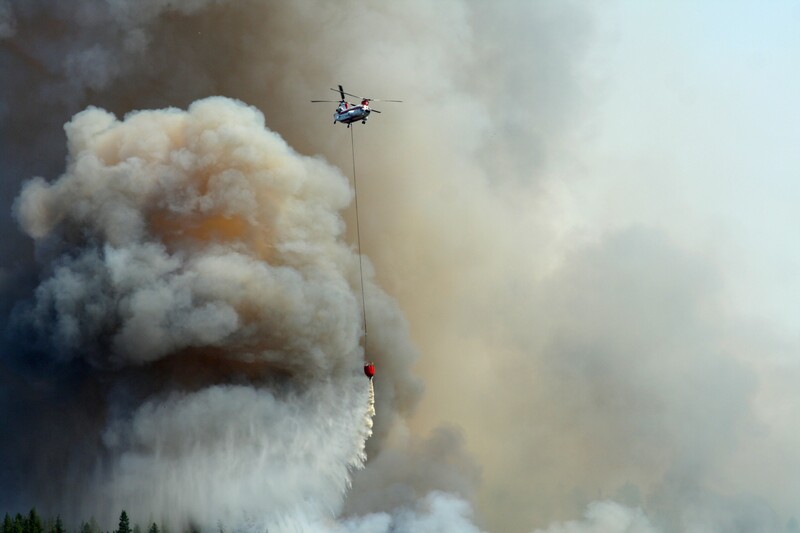 The helicopter’s impact with a red-tailed hawk jarred the fire suppression handles loose, which pushed the engine controls to idle, depriving the engines of fuel. More than 219 people have been killed as a result of bird strikes since 1988. Between 1990 and 2009, bird and mammal strikes cost the U.S. civil aviation complex $650 million per year. The U.S. Air Force sustains approximately $333 million dollars in damage per year due to bird strikes. About 5,000 bird strikes were reported by the Air Force in 2012. About 9,000 bird and other wildlife strikes were reported for U.S civil aircraft in 2009. The FAA has identified 482 species of birds involved in strikes from 1990-2012. Between 2001 and 2011, 4066 engines were damaged in 3,935 bird strikes. This resulted in a wide range of outcomes including aborted takeoffs, engine shutdowns, and crashes. http://www.boeing.com/commercial/aeromagazine/articles/2011_q3/4/. (Last visited 4/19/16). http://news.nationalgeographic.com/news/2013/10/131108-aircraft-bird-strikes-faa-radar. (Last visited 4/19/16). The North American non-migratory Canada goose population increased from 1 million birds in 1990 to 4 million birds in 2009. Concentrations are particularly high at JFK airport and surrounding regions, with the ample grass and wetlands, but populations of various sizes are found near airports across the country. A twelve pound Canada goose struck by an airplane moving at 150 miles per hour during takeoff generates the kinetic energy of a 1000 pound weight dropped from a height of ten feet. Nesting populations of bald eagles increased from 400 pairs in 1970 to 13,000 pairs in 2010. Between 1990 and 2009, 125 bald eagle strikes were reported. The body mass of a bald eagle is 9.1 pounds for males and 11.8 pounds for females. Finally, the population of European starlings is now the second most prevalent bird species in America, numbering over 150 million. Often called “silver bullets,” they fly at high speed and have a body density that is 27 percent greater than gulls. http://www.boeing.com/commercial/aeromagazine/articles/2011_q3/4. (Last visited 4/19/16). Each summer teams of USDA goose catchers capture geese which, in the molting condition cannot fly, including offspring which are then take to slaughterhouses and killed. Between 2009 and 2010, 2911 geese were killed. The USDA reports that 80 percent of Canada geese are resident, and remain in place, rather than migrate. The government and airport operators strongly advocate for the culling of non-migratory birds. Letting grass grow taller, planting unpalatable grasses, reducing standing rainwater, and oiling eggs to prevent hatching. Firing pyrotechnics and propane cannons. Airport managers must exercise due diligence in managing wildlife hazards to avoid serious liability issues. The U.S. Code of Federal Regulations requires Part 139-certificated airports experiencing hazardous wildlife conditions as defined in 14 C.F.R. Section 139.337 to conduct formal Wildlife Hazard Assessments. The certificated airports must develop Wildlife Hazard Management Plans as part of the certification standards. Airports are required to employ professional biologists trained in wildlife hazard management. 14 C.F.R. Section 139.337 and FAA Advisory Circular 150/5200-36. Failure to comply with the regulations can give rise to liability for airport operators. https://www.aphis.usda.gov/wildlife_damage/airline_safety/pdfs/Summary%20Report%20WS%20Airport%20Wildlife%20Hazards%20Program%20FY%2008.pdf. (Comprehensive overview of applicable regulations and methods, last visited 4/19/16). The USDA’s Airport Wildlife Hazards Program plays a leading role in the supervision and management of wildlife strikes with aircraft. Wildlife challenges are by no means limited to birds. Airports across the country are struggling with wildlife management. http://www.post-gazette.com/sports/hunting-fishing/2016/01/17/Keeping-wildlife-off-tarmac-is-big-job-at-Pittsburgh-International-Airport/stories/201601170140. (Last visited 4/19/16). In addition to reports of aircraft strikes involving nearly 500 bird species, other wildlife strikes reported during the last decade involved nearly 100 terrestrial animals including mongoose, bears, badgers, moose, pigs, burros, horses, and even camels, in addition to 137 reptile strikes. For additional background information, see “Wildlife Strikes to Civil Aircraft in the United States, 1990-2001”, United States Department of Agriculture, Federal Aviation Administration, United States Department of Agriculture, July, 2012. Report published for the Federal Aviation Administration Office of Airport Safety and Standards. https://www.faa.gov/airports/airport_safety/wildlife/resources/media/bash90-11.pdf. (Last visited 4/19/16). http://www.fws.gov/migratorybirds/pdf/bird-enthusiasts/birdstrikes.pdf. (Alternate link, last visited 4/19/16). In response to the Eastern Airlines crash in Boston in 1960 mentioned above, The FAA issued Advisory Circular 33-1 “Turbine Engine Foreign Object Ingestion and Rotor Blade Containment Type Certification Procedures,” which provided guidance for compliance with FAA regulations §3313 and §3319 requiring that engine design minimize unsafe condition. For additional information on the scope of required fan and engine construction, see Christopher Demers, “Large Air Transport Jet Engine Design Considerations for Large and for Flocking Bird Encounters”, DigitalCommons@University of Nebraska-Lincoln (2009). http://digitalcommons.unl.edu/cgi/viewcontent.cgi?article=1005&context=birdstrike2009. (Last visited 4/19/16). In recent years, wheel well stowaways have received increasing media attention and public interest. Statistics on the manner of death and the factors that keep stowaways alive are not precise, and there are differing standards for investigation internationally. Many, if not most, of these incidents arise from the unfortunate political, social, economic or family circumstance of the stowaway. However, assuming the physiological obstacles of hypothermia and hypoxia are overcome, one major question remains: What legal implications are raised if a stowaway with destructive intent caused a major tragedy? Usually a stowaway jumps into an aircraft by hanging on to the airliner’s landing gear as the plane takes off, or climbs into the gear compartment before takeoff. The force of the wind can easily make a stowaway fall to his or her death. Alternatively, many stowaways are crushed in the confined space of the compartment when the gear is retracted. Others appear to have died from the heat produced by the engines of the aircraft, or fallen while unconscious when the gear is extended. The overwhelming majority of stowaways are young males. According to the FAA, the first recorded case of an aircraft stowaway occurred on June 13, 1929. The Bernard monoplane Oiseau Canari, piloted by Frenchmen Assollant Lefevre, had trouble taking off in spite of its powerful Hispano Suiza engine. The crew later discovered the cause of the problem: a stowaway on board. Despite the overload, the plane landed in Spain after 22 hours of flight. http://www.faa.gov/about/office_org/headquarters_offices/ang/offices/tc/about/campus/faa_host/rdm/media/pdf/fy2011rdannualreview.pdf. (Last visited 4/19/16). Physiological threats for a stowaway are minimal at altitudes up to 8,000 feet, but at higher altitudes reduced atmospheric pressure and partial pressure of oxygen may have deleterious effects. At all cruising altitudes, the partial pressure of oxygen in a wheel well cannot sustain consciousness. Additionally, at altitudes of about 20,000 feet, stowaways may develop decompression sickness. Id. All of the scientific research suggests that, after takeoff, a stowaway faces two life-threatening conditions during flight: hypoxia and hypothermia. In 1993, the fatality of a 19-year old who stowed away in the wheel-well of a plane bound from Colombia to JFK was one of the 13 wheel-well stowaway flights documented in a report by the U.S. FAA, Civil Aeromedical Institute (CAMI), and Flight Safety Foundation as having frozen to death. (FSF). https://www.faa.gov/data_research/research/med_humanfacs/oamtechreports/1990s/media/AM96-25.pdf . http://flightsafety.org/hf/hf_may-jun97.pdf . (Last visited 4/19/16). Some experts suggest that survival rates in young people may be higher because their brains more readily approach to a “virtual hibernative state,” where their bodies become temporarily more adaptable to trauma. http://time.com/70441/how-the-teen-stowaway-survived-his-trans-pacific-flight-in-a-wheel-well/. (Last visited 4/19/16). According to the FAA, from 1947-2014 there have been 94 flights involving 105 people who stowed away worldwide. Of those 105 people, 80 died and twenty-five survived. The twenty-five people who survived represent a 23.8 percent survival rate. In 2014 a sixteen-year-old California boy jumped a fence at San Jose International Airport and squeezed into the wheel-well of a flight bound for Maui, where he emerged 5 hours later, in good health. Experts surmised that the teen’s youth could be an advantage, as the brains of young people adapt more easily to hypothermia and hypoxia, for reasons that are not completely understood. http://khon2.com/2014/04/20/fbi-investigating-stowaway-of-hawaiian-airlines-flight/. (Last visited 4/19/16). Similarly, in June, 2015, a 21-year old Indonesian man hid in the wheel well of a Garuda Indonesia flight from Sumatra to Jakarta. http://www.huffingtonpost.com/2015/04/08/stowaway-survives-flight-indonesia_n_7023396.html. (Last visited 4/19/16). In the event of a crash, mass tort litigation by innocent passengers against airlines, airports, governments and contractors arising from security breaches. Widespread concern about security at public, airline, security provider, airport, and government levels which leads to additional legislation, regulation, or policy. Other terrorist acts such as ransom demands or extortion of other conditions by extremists determined to cause a catastrophe through a stowaway with destructive or disruptive capability. Government levied fines for airlines, airports, private security companies, local police, and federal agents based on security breaches. Increased security measures imposed on airport, airline, local, state and federal authorities. Lawsuits by agencies, airlines or security agents against the indigent stowaways are unlikely, although deportation is possible. Wheel well stowaway events appear to be on the rise, and each event is highly publicized. However, these events have not resulted in widespread litigation. The only litigated case brought by the family of a stowaway involved sixteen-year-old Delvonte Tisdale. Tisdale ran away from home on November 14th, 2010. A day later his body was found mangled in a Boston suburb. Authorities determined that Tisdale likely sneaked onto the tarmac of Charlotte-Douglas International Airport and climbed into the wheel well of US Airways Flight 1176, bound for Boston. Tisdale’s family sued US Airways, The airport, and the City of Charlotte alleging that the defendants negligently failed to ensure people could not access restricted areas. Among the failure to warn claims was an allegation that the defendants failed to warn of the dangers of entering an aircraft as a passenger through the wheel well. The judge ultimately disagreed with Tisdale’s family and dismissed the case. Siding with Charlotte City Attorney Robert Hagemann, the judge ruled in July, 2013 that Tisdale was negligent in his actions and that the city is not responsible for people who breach security. http://boston.cbslocal.com/2013/03/07/judge-dismisses-suit-filed-by-family-of-airplane-stowaway-delvonte-tisdale/. (Last visited 4/19/16). The breach of security in the Tisdale case raised questions about airport security. If a 16-year-old, who had never flown before could evade airport security measures, then why not a terrorist? With the proliferation of wheel well stowaways, it is likely only a matter of time until a tragic mass tort occurs. Reports of aircraft targeting with handheld ground lasers have been rising sharply. In 2006, there were 384 reported incidents. By 2014, there were 3,894 reported incidents. In 2015, there were 7,702 reported incidents. The FAA has recorded approximately 22 aircraft laser strikes per day in 2016. https://www.faa.gov/news/fact_sheets/news_story.cfm?newsId=15774 (Last visited 4/19/16). https://www.faa.gov/about/initiatives/lasers/laws/. (Last visited 4/19/16). https://www.justice.gov/usao-edca/pr/bakersfield-man-sentenced-striking-sheriff-s-helicopter-laser (Last visited 4/19/16). https://www.justice.gov/usao-edca/pr/bakersfield-resident-sentenced-pointing-laser-kern-county-sheriff-helicopter. (Last visited 4/19/16). In a widely publicized recent incident, a Virgin Atlantic flight originating at Heathrow bound for New York with 252 passengers on board was forced to turn back after a flight crew “medical issue” was caused by a laser strike shortly after takeoff. http://.bbc.com/news/uk-35575861. (Last visited 4/19/16). Exposure to laser illumination may cause hazardous effects such as pain, watery eyes, headaches, flash-blindness, distraction or disorientation, loss of depth perception, and aborted takeoffs or landings, in addition to danger during lower level flight. In the United States, an area with high numbers of laser strikes is the 34 counties encompassed within the United States Judicial District for the Eastern District of California, a judicial district which has been vigorously prosecuting laser strike offenders and securing a large number of convictions resulting in prison sentences and fines. (Albuquerque, Chicago, Cleveland, Houston, Los Angeles, New York City, Philadelphia, Phoenix, Sacramento, San Antonio, and San Juan all have high incidence of laser strikes.) As recently as March 7, 2016, that office secured a guilty plea from a thirty-five year-old man with a powerful green laser, about the size of a flashlight in his pocket. The man pleaded guilty to multiple strikes on a California State Highway Patrol airplane. https://www.justice.gov/usao-edca/pr/clovis-man-pleads-guilty-laser-strikes-chp-plane (Last visited 4/19/16). The increase in reports of ground based lasers targeting flying aircraft may be due to a number of factors, including the increased availability of inexpensive laser devices on the internet, higher power lasers which can strike aircraft at higher altitudes, and increased reporting by flight crews. Regulatory power for laser light products is delegated to the FDA, and its regulations are found at 21 C.F.R. § 1010. While some jurisdictions have made interdiction efforts using helicopters and other improved tracking methods, catching laser offenders is difficult. The devices are small, and when extinguished can be easily concealed and the location of the user can be in sparsely populated areas. To respond to the increasing attacks, the FAA launched the Laser Safety Initiative, which provides education on laser hazards and events, news, law and civil penalties, and encourages reporting. The latest reports indicate that aircraft illuminations by handheld lasers involve green lasers rather than red. This is significant because green lasers are 35 times brighter than red, and the wavelength of green lasers is close to the eye’s peak sensitivity when they are dark-adapted. FAA flight simulation studies have shown that the adverse visual effects from laser exposure are especially debilitating when the eyes are adapted to the low-light level of a cockpit at night. http://www.faa.gov/pilots/safety/pilotsafetybrochures/media/laser_hazards_web.pdf. (Last visited 4/19/16). Restricted airspace surrounding commercial airports, in particular, can provide federal, state and/or local criminal penalties for violation with a laser, even if the operator is not operating the laser within the space, but merely causes the beam to intersect the controlled airspace to target an aircraft. In the United States, laser airspace guidelines can be found in FAA Order JO 7400.2 (Revision “G” as of April 2008). Chapter 29 of the Order provides a comprehensive overview of the FAA’s laser guidelines. In 2011, the FAA announced plans to impose civil penalties against people, including the parents of juveniles, who point a laser into the cockpit of an aircraft. http://www.faa.gov/news/press_releases/news_story.cfm?newsId=12765. (Last visited 4/19/16). The maximum administrative penalty is a fine of $11,000. The FAA released a legal interpretation which concluded that directing a laser bean into an aircraft cockpit could interfere with a flight crew performing its duties while operating an aircraft, a violation of FAA regulations. http://www.faa.gov/news/media/Laser%20Memorandum%20Final%20060111.pdf. (Last visited 4/19/16). The FAA conducted an analysis of 14 C.F.R. § 91.11 which provides that, “[n]o person may assault, threaten, intimidate, or interfere with a crewmember in the performance of the crewmember’s duties aboard an aircraft being operated.” However, the FAA standard for liability is higher than the standard for criminal liability under 18 U.S.C. §§ 32 and 39A. Federal regulations prohibiting interference with a crewmember in the performance of their duties had initially been adopted in response to hijackings. However, the FAA legal interpretation concluded that nothing in the regulation specified that the person interfering must be on the airplane. Previously, the FAA had taken enforcement action only against passengers on-board the aircraft that interfere with crewmembers. The maximum civil penalty is $11,000. By June, 2012, the FAA had initiated 28 enforcement actions. http://www.faa.gov/news/press_releases/news_story.cfm?newsId=13555. (Last visited 4/19/16). On February 14, 2012, President Obama signed Public Law 112-95. The FAA Modernization and Reform Act of 2012, Section 311 amended Title 18 of the United States Code (U.S.C) Chapter 2 § 39, by adding § 39A, which makes it a federal crime to aim a laser pointer at an aircraft. http://www.faa.gov/about/initiatives/lasers/laws/. (Last visited 4/19/16). Prior to 2012, federal prosecutions of laser illuminations of aircraft were initiated pursuant to 18 U.S.C. § 32(a)(5), which prohibits interference with the safe operation of an aircraft. Aiming a laser at an aircraft is also prohibited by many state laws. Between 2005 and 2013, there were 17,725 reported laser strikes in the United States, resulting in 134 arrests. This data suggests that even when limiting the calculation to reported incidents, there is only a 0.75 percent chance of getting caught; a percentage that would decrease if unreported incidents were also considered. There were 80 convictions among the 134 arrests. One reason for the conviction rate of 60 percent is that some who were arrested were minors who were never formally charged. http://arstechnica.com/tech-policy/2014/05/blinding-light-the-us-crackdown-on-not-so-harmless-laser-strikes/3/. (Last visited 4/19/16). “At sentencing, [Rodriguez] did not accept responsibility for his actions; he blamed his 2- and 3- year-old children. I believe the evidence showed the laser was a dangerous weapon, and there was intention, supporting a guideline sentence of 168 months. I would not call it harsh. I would say it is a penalty that fits the crime, but I believe that it will have a deterrent effect, and I hope it will.” Id. The Ninth Circuit has since reversed Rodriguez’ conviction for violation of 18 U.S.C. § 32 and remanded for resentencing for the Section 39A violation. The Ninth Circuit found that the evidence did not support proof of the willfulness requirement for a Section 32 violation, noting that Section 32 was intended to apply to the bin Ladens of the world, not knuckleheads like Rodriguez. On remand, the district court imposed the maximum penalty of five years for the Section 32 violation. Much of the current focus on laser strikes focuses on interdiction and criminal prosecution. The potential for a laser beam disabling a flight crew, and resulting in a mass tort, creates civil liability questions which have yet to be resolved. Animal Passengers: Is it a Pet, a Service Animal, an Emotional Support Animal, Or Something Else, and Does It Get a Ride? Walking through any large airport in 2016, it is likely that departing and arriving passengers will see any number of animals and a wide variety of species, shapes, and sizes. Dogs, cats, birds, rodents, reptiles, pigs and even miniature horses are all found in airports waiting to board. The distinction between service animals, companion animals, emotional support animals, and pets may not always be clear. Transport of service animals, including emotional support animals is governed by the Air Carrier Access Act (“ACAA”), 49 U.S.C. § 41705 (1986), which incorporates provisions consistent with the Americans With Disabilities Act, 42 USC § 126 (1990). In contrast to service animals, transport of pets is generally done for an additional fee, which can be significant. Transportation of pets is generally governed by airline and airport policy, so long as policy is consistent with FAA, TSA, USDA and DOT rules and regulations. This can lead to arguably conflicting policies and practices by airports and carriers. The ACAA prohibits discrimination by U.S. and foreign air carriers on the basis of physical or mental disability. In 1990, the U.S. Department of Transportation promulgated the official regulations implementing the ACAA. Those rules mandate nondiscrimination on the basis of disability in air travel. 14 CFR Part 382. (3) when a service animal legally can be refused carriage in the cabin. The 1996 DOT ACAA guidance manual defines a service animal as “any guide dog, signal dog, or other animal individually trained to provide assistance to an individual with a disability. If the animal meets this definition, it is considered a service animal regardless of whether it has been licensed or certified by a state or local government.” “Guidance Concerning Service Animals in Air Transportation,” (61 FR 56420-56422, (November 1, 1996)). The DOT has continued to update the guidance materials. Nondiscrimination on the Basis of Disability in Air Travel, 73 FR 27614, May 13, 2008 as modified by: Correction Notice of 74 FR 11469, March 18, 2009, Correction Notice of 75 FR 44885, July 30, 20010. http://airconsumer.ost.dot.gov/rules/Part%20382-2008.pdf. (Last visited 4/19/16). Pets are not service animals. Some unusual service animals, including snakes, other reptiles, ferrets, rodents and spiders pose unavoidable safety and/or public health concerns and airlines are not required to transport them in the cabin. Other unusual service animals such as miniature horses, pigs and donkeys should be evaluated on a case by case basis. When Part 382 was first promulgated, most service animals were guide or hearing dogs. Since then, a wider variety of animal (g., cats, monkeys, etc.) have been individually trained to assist people with disabilities. Service animals also perform a wider variety of functions than ever before (e.g., alerting a person with epilepsy of imminent seizure onset, pulling a wheelchair, assisting persons with mobility impairments with balance) which can make it difficult for airline employees to distinguish service animals from pets, especially when a passenger does not appear to be disabled, or the animal has no obvious indicators that it is a service animal. People with disabilities use many different terms to identify animals that can meet the legal definition of “service animal.” These range from umbrella terms such as “assistance animal” to specific labels such as “hearing,” “signal,” “seizure alert,” “psychiatric service,” “emotional support” animal, etc. that describe how the animal assists a person with a disability. Carriers shall permit dogs and other service animals used by persons with disabilities to accompany the persons on a flight. § 382.117(a). Carriers shall accept as evidence that an animal is a service animal identifiers such as identification cards, other written documentation, presence of harnesses, tags or the credible verbal assurances of a qualified individual with a disability using the animal. Carriers shall permit a service animal to accompany a qualified individual with a disability in any seat in which the person sits, unless the animal obstructs an aisle or other area that must remain unobstructed in order to facilitate an emergency evacuation or to comply with FAA regulations. If a service animal cannot be accommodated at the seat location of the qualified individual with a disability whom the animal is accompanying, the carrier shall offer the passenger the opportunity to move with the animal to a seat location in the same class of service, if present on the aircraft, where the animal can be accommodated, as an alternative to requiring that the animal travel in the cargo hold § 382.117(c). Carriers shall not impose charges for providing facilities, equipment, or services that are required by this Part to be provided to qualified individuals with a disability § 382.31. In one recent case, a Washington State trial court analyzed the requirements of the ACAA as applied to an injury to a passenger caused by a Rottweiler service dog. Sullivan v. Alaska Air Group, Inc., et al., Spokane County Case No. 15-02-00227-3, February 29, 2016. Defendant owner of the Rottweiler was initially seated in back of the plane, but moved to row one to accommodate the size of the dog. Plaintiff was seated in row two. On arrival in Spokane, the dog allegedly bit plaintiff’s hand as she disembarked. Plaintiff contended the airline had a duty to protect her and that the animal posed a foreseeable risk. The airline argued that the ACAA preempted, either through conflict or field preemption, the plaintiff’s claims. In conducting a preemption analysis, the court noted that airline passenger safety in regards to service animal is pervasively regulated by the ACAA sufficient to find that federal law expressly preempts and state standards of care. The court granted the airline’s motion for summary judgement based on ACAA preemption. The court noted that the requirements of 14 C.F.R. § 382.117 did not preclude the Rottweiler from riding on the plane. The airline established, in satisfaction of the statutory requirements that the animal was, in fact, a service animal and they also determined that the animal did not present either a direct threat to the health and safety of others or a significant threat to the disruption of airline service. Evidence was presented that the dog flew on the carrier or its partners twelve times previously without incident. Finally, there were harness markings or other credible assurances provided to establish that the dog was a service animal. Animals present airlines and airports with a minefield of compliance, liability, public relations and customer service issues which range from fundamental flight safety, to combating abuses of the ACAA in order to obtain free plane tickets for pets. In many cases, it may come down to a judgment call about whether the animal can safely be accommodated, or whether it will disrupt, or even endanger the flight. Airlines also face very high fines for failing to accommodate legitimate service animal accommodation requests. In January, 2016, a passenger brought a live turkey onto a Delta Airlines flight, claiming the animal was needed for emotional support. Delta noted that the passenger had complied with the rigorous requirements of the ACAA which included providing documentation from a mental health professional that the animal’s companionship was necessary for travel. Delta’s spokesperson noted that any therapist can sign off on any kind of animal, however, snakes, spiders and farm poultry are not acceptable. Animals allowed to board as service or emotional support animals under the ACAA are accommodated free of charge, and are not allowed to block emergency exits or occupy seats designed for passengers. https://www.washingtonpost.com/news/morning-mix/wp/2016/01/15/someone-just-used-a-federal-law-to-bring-a-live-turkey-on-a-delta-flight/. (Last visited 4/19/16). http://www.nydailynews.com/news/national/turkeys-sitting-planes-emotional-support-animals-article-1.2496248. (Last visited 4/19/16). On June 1, 2016, Scott Brooksby was featured as a speaker and moderator on a panel entitled “Birds, Pets, Lasers, Stowaways, and Other Hot Topics in Aviation”, at the American Bar Association’s 22nd Annual National Institute on Aviation Litigation, at the University Club of New York in New York, New York. • Bird strikes are the second-leading cause of death in aviation, with more than 400 deaths globally. Learn about required airport wildlife management plans and mitigation techniques, and how airports and the government can address liability risks. • Flight crews are increasingly targets of inexpensive, and increasingly powerful hand-held green lasers. More than 7,000 laser strikes were reported to the FAA in 2015. This panel will discuss efforts by prosecutors pursuing criminal charges, and liability issues arising from laser strikes. • Pigs, snakes and turkeys are just some of the pets, or emotional support animals, that airlines are confronting. The safety of other passengers, who may be the victims of physical injury of property damage, present liability issues for airports and airlines. • The number of wheel well stowaway incidents are rising which poses security risks for airports and airlines, and it is not inconceivable that the stowaway with destructive intent could cause a catastrophic mass tort. 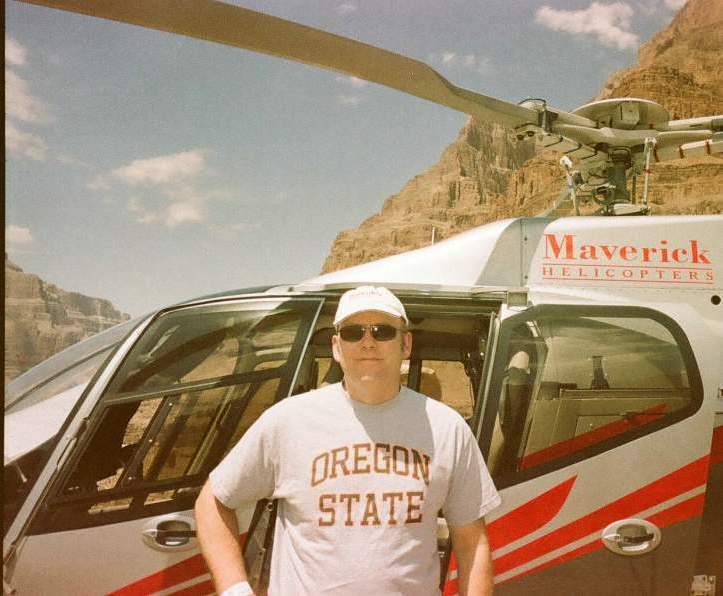 Scott Brooksby featured as speaker on the Germanwings crash. of other crew-members’ mental health info? be shared and with whom? 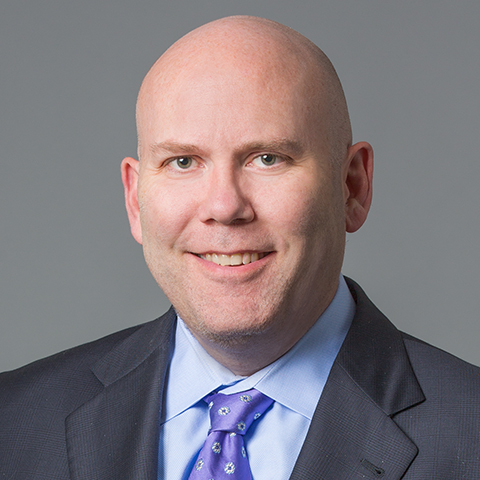 Scott Brooksby will be involved in planning the American Bar Association’s 2016 22nd Annual National Institute on Aviation Litigation in New York, New York. This prominent, annual conference features seasoned aviation lawyers who present and educate on a variety of aviation litigation topics. Scott is on the aviation subcommittee of the American Bar Association’s Mass Torts section. 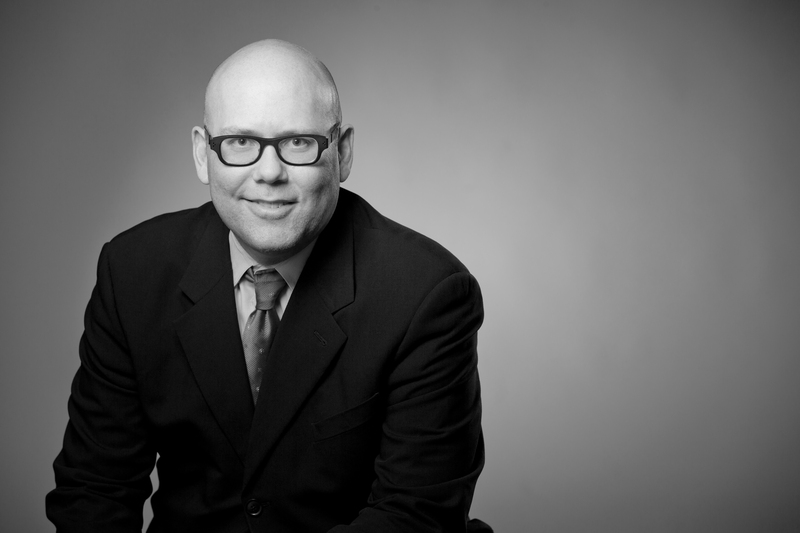 Scott Brooksby has experience representing airlines, aviation insurers, aviation product manufacturers, and airplane owners. 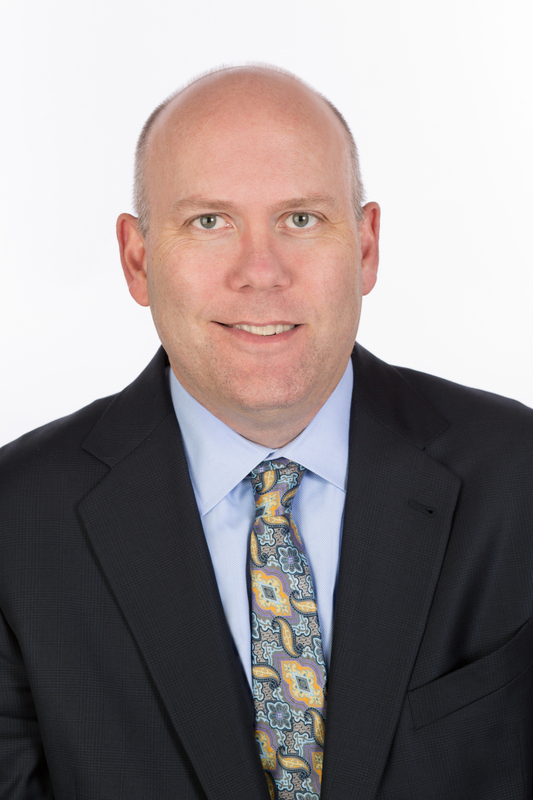 Scott has handled a broad variety of aviation law matters, including personal injury defense; product liability defense litigation; contract and lease drafting; contract negotiation and disputes; and general aviation commercial litigation. Much of Scott’s practice is devoted to aviation law, and Olson Brooksby is one of the few firms in Oregon with aviation trial experience. Scott Brooksby leads the firm’s aviation practice, devoting a substantial amount of his time and practice to aviation-related matters. Scott served as local counsel for one of the largest aviation manufacturers in the world in a nine-week trial in Oregon state court. The trial involved product liability issues and concerned a helicopter crash that resulted in burns, permanent injuries, and multiple deaths. While Olson Brooksby’s specialized aviation practice is headquartered in Portland, Oregon, the nature of the firm’s practice often takes its attorneys to various other geographical locations, particularly for investigations, witness interviews, and depositions. Scott is experienced with a broad range of aviation law topics, and is familiar with allegations concerning: mechanical malfunctions due to airframe or component defects; improper repair or maintenance; improper weight and balance; weather; piloting and human factors; instruments and avionics; air traffic control; and even issues relating to bird strikes and lasers.